Incidentally, is there a way to call a piston in one instance from another instance? I believe that “superglobal” variables allow you to share state between instances but I’m not sure if they can be used as triggers. A superglobal is defined with two @ signs, e.g. @@command. There may be more info in the wiki. They must have drastically reduced the #, I have moved almost 100 devices into a new instance. That new instance is working and the old instance is still giving me errors. Is it at all possible that this 1 instance I have been using is somehow corrupt? I am getting ready to move all my remaining devices into a new instance just to test my theory, lol. Oh, more conveniently you can use the web request URL for a piston to trigger it from another instance. That allows you to pass in arguments as GET parameters rather than trying to trigger off of superglobals. @ipaterson Hello, since I am using more than one instance now I am trying to use Super Global Variables, but am getting an error. All I did was add an extra @ onto each one and now I am getting an error. Any idea what I am doing wrong? Oops that is just leftover debug code from when Ady added the superglobals. Looks like an error, but not actually an error. I’ll remove it in the next release. Hopefully it works other than that! If it is very annoying you can safely go to the webCoRE smart app code editor, search GOT EVENT and remove that line (line ~2104). 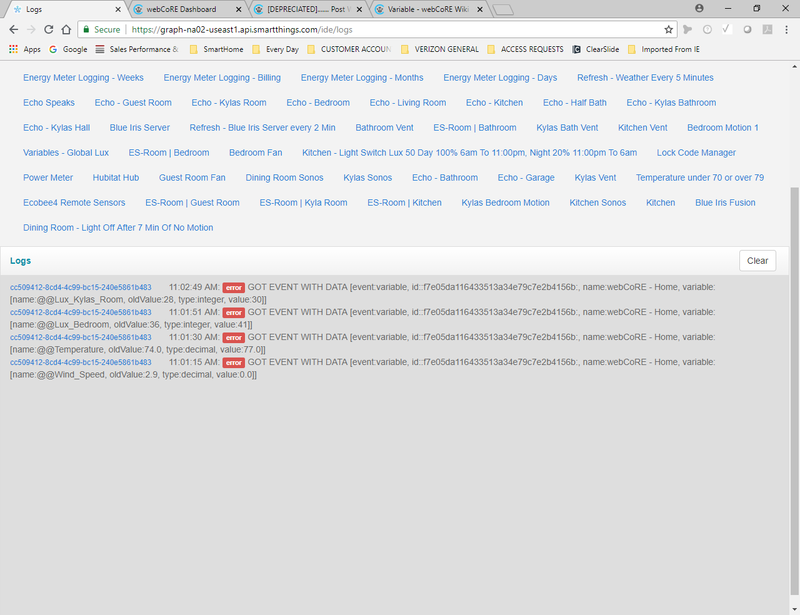 I am still having timeout issues even on a new instance I just built, I am curious, should I be seeing this any time I open a piston from the dashboard? Reason I am asking is that only 1 out of 3 instances does it. I am throwing out a possible solution since Java exceptions are being thrown - from experience, the Java temporary file store sometimes gets corrupted. So clearing it out may help some of the people on this thread. To perform this action, launch the Java Control Panel, click on the “General” tab, click on “Settings…”, click on “Delete Files…”, check all boxes on the screen, click on “OK”. The next time a Java application launches, it will load a fresh copy of code, if necessary. I would also delete all temporary files in your browser’s cache. Did you ever hear back from support? Reducing the # of devices seems to not be helping. Crickets so far…I am able to get other instances working and then break them by adding more devices. I’m finding the device count that works to be in 125 range (I was well over 200 working before whatever they did a couple of weeks ago that broke this). Lol, I am finding the device count to be below 80 for me. @ipaterson, hello do you have any updates on this or a work around. I just spent the last 2 days moving all my pistons between 3 instances. I have less than 80 devices in each instance, yet I am still getting the timeout error. Any ideas? I can’t help here, we are waiting on SmartThings platform fixes. Sorry but I do not have enough devices or spare time to test this with you guys. Still nothing from Support on my ticket. I pinged them again this morning to see if I can get a status update. If you are experiencing this issue and have not opened a ticket with ST support, it may help us to get attention on it if there’s a bunch of open tickets. Our Engineering team are still investigating the problem and are working hard on a fix. I’ve tagged your account so that as soon as there is a resolution, you will be notified immediately. Unfortunately, there isn’t a specific ETA on when there will be a fix, but I want you to know that we are working diligently on finding one. Anybody hear anything about this? This is now starting to stall my pistons. Is there a fix being worked for this? I have not been able to access my pistons for over week. @wjarrettc hasn’t heard anything new from SmartThings regarding a fix for this afaik. Best advice is to continue to inform ST support that this is affecting you. 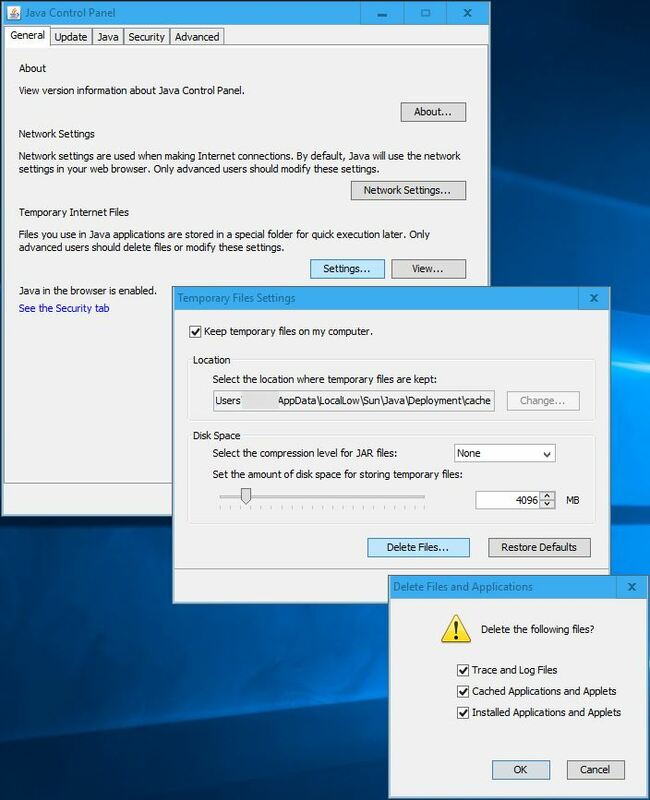 This thread tracks observations like the number of devices per account that is experiencing this problem, but otherwise there is nothing we can do. Be sure to raise your concerns with SmartThings so that they know the extent to which it is affecting their customers. What exactly should I be asking Samsung to fix on their end? What is it that is breaking WebCore for me? This depends on how you are affected. Some people have been unable to use devices in other integrations like Alexa and some have been unable to load the Things tab in the ST app. No one has provided any details on this thread for a few weeks so we have no idea if the “me too” reports are actually related to the one person who has contacted ST support. The problem to report is that you are experiencing timeouts in smart apps that retrieve your list of devices, which ST support should be able to see according to Jarrett’s support experience. If you are able to load all of your devices in other integrations like Alexa without issue that would be good to post here. A few months have gone by so the assumption that everything is related is not very strong.